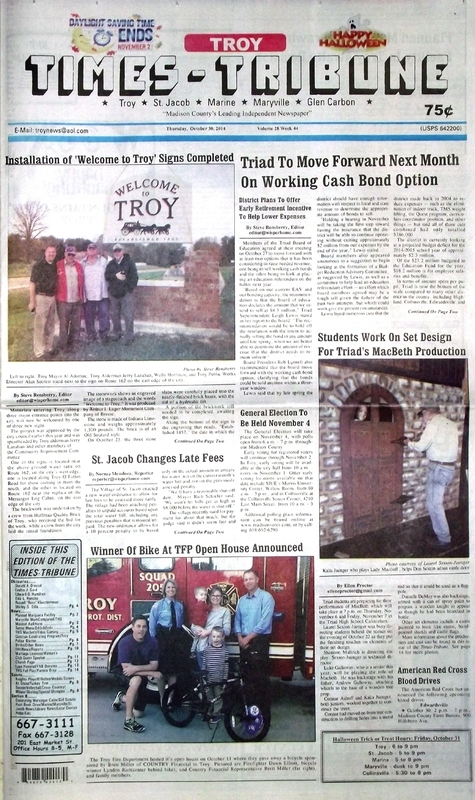 The October 30, 2014 issue of the Troy Times-Tribune is available! Some of the stories in this issue: Triad to Move Forward on Working Cash Bond Option, St. Jacob Changes Water Ordinance Late Fees, Troy Installs New Welcome Signs, General Election Slated for November 4, Students Work on Set Design for Fall Play, Planned Marijuana Growing Facility in Troy Awaits Decision, D&K Backhow Work Completed On 159/162 Sanitary Sewer Lines, Video Gaming Opponents Say Crime Does Occur With Gaming, Knights Guarantee Playoff Spot With 27-22 Win; plus we have police blotters, a column about quality education and adequate funding, photo essays on the upcoming fall play at Triad and on the annual Pumpkin Drop, and a whole lot more. 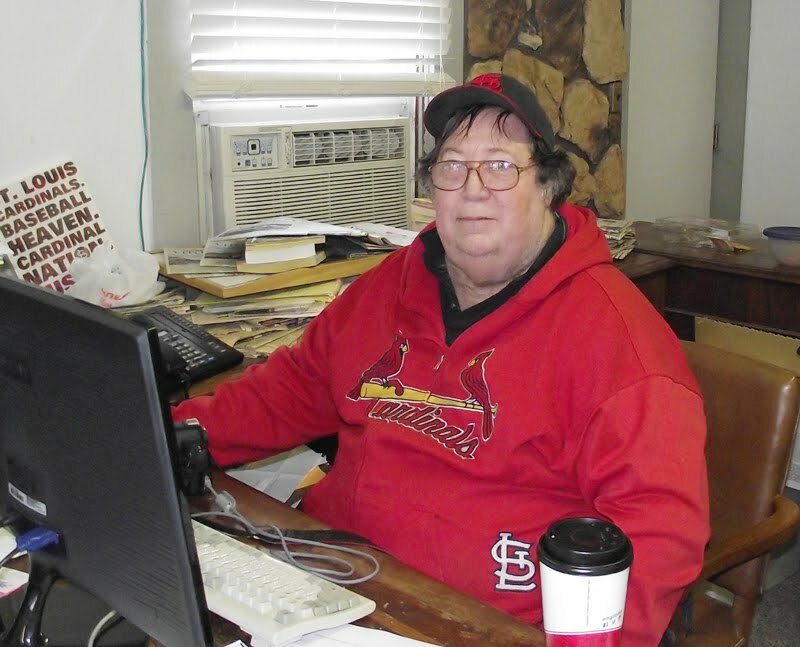 We have obituaries for Evelyn J. Gard, Elda L. Hencke, Shirely S. Odle, Donald A. Dressel, Russell “Russ” Klaustermeier, and Edward D. Hamilton.